Over the weekend, a Facebook friend of mine noticed an odd message (via Facebook Messenger) was sent to her from someone who normally only communicates by leaving comments on my friend's timeline, not by messages. The message really attempts to peak your interest - notice how it implies over a hundred thousand people clicked on a video, about me? Haha, sure. But you can certainly see how this can trick someone. According to this article, if you click on the link, malware will be downloaded to your system that can access or track your personal information, such as credit cards, banking information, etc. 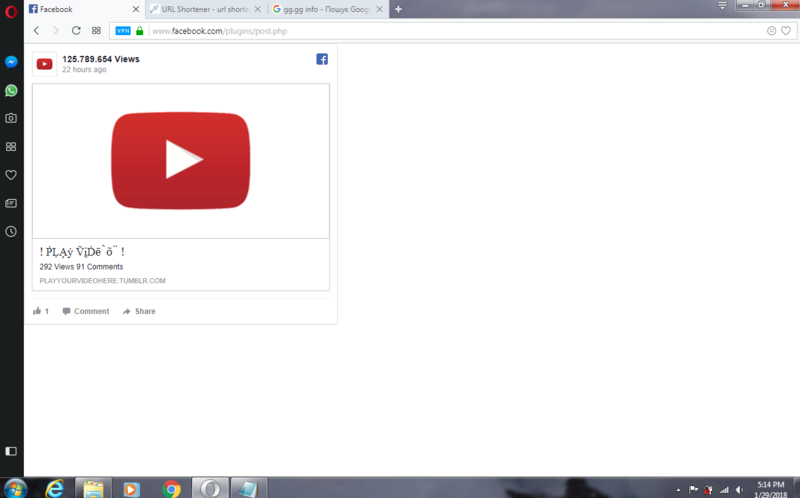 We are not sure what happens when you click on the Youtube link, since my friend closed off her browser immediately after she clicked on it, but it certainly cannot be good. From the link for the article above, Facebook is recommending that anyone infected with this malware should change their password and "check that their details have not been used elsewhere". Yes. This is quite important. Probably most worrisome of all about this hack is that now the hackers know your password. Is this the same password you use for your banking account? Or is it the same password you use for any online sites where you purchase items and store your credit card information? Definitely gives more credence to the premise that you should use a different password for each of your online accounts. Doing a Google search barely found much more information on this hack, since it appears to be so new. Nevertheless, here is another link that mentions it.